%VIRTUAL-SkimlinksPromo%Thieves targeted the home of the late presenter and television personality Peaches Geldof, police have confirmed. Detectives in Kent say they are investigating two break-ins at the property, in Fairseat Lane, Wrotham. Officers said a lawnmower was taken in mid-April, while thieves who broke into the home during a second raid on Friday apparently left empty-handed, police said. The break-ins follow the death of the mother-of-two on April 7. In a statement, Kent Police said: "Police are investigating a burglary at an address in Fairseat Lane, Wrotham, on 9 May. "Officers were at the address within five minutes and no personal items are believed to have been stolen. "Additionally, in mid-April a lawn mower was reported (to police) to have been taken from the grounds." 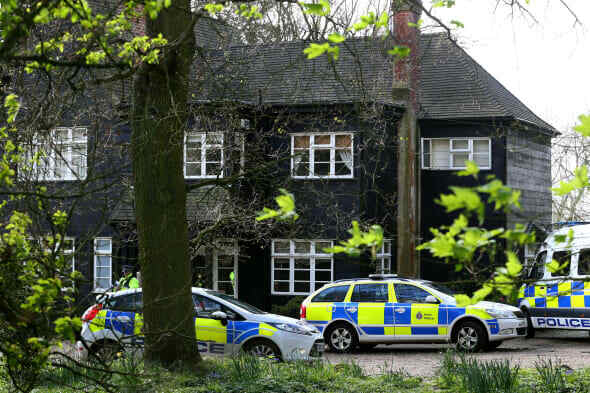 The body of 25-year-old Ms Geldof was found at the home she shared with her husband Tom Cohen, and their two young sons, Astala, two, and one-year-old Phaedra. Her inquest earlier this month was told Mr Cohen discovered her slumped dead on a bed after she had recently taken heroin. At the opening of the hearing in Gravesend, Detective Chief Inspector Paul Fotheringham said recent heroin use ''was likely to have played a role'' in her death. The raids come after the home of late singer Amy Winehouse was also targeted shortly after her death in July 2011. Thieves took the wedding dress in which the Rehab songstress married Blake Fielder-Civil in 2006, as well as a cocktail dress she wore while appearing on the BBC's Later With Jools Holland. Both had been intended to be sold at auction for charity before they were stolen.